We're not sure where you'd try these on in Canada but they're available online. Held Cadora jacket and Manero pants are now in stock and available online at HeldUSA.com. The Cadora and Manero feature GORE-TEX Pro Textile Laminate technology for lightweight waterproof capabilities. Held’s premium Cadora jacket and Manero pants are now available through Held dealers in the United States. Designed for all-weather versatility, the Cadora and Manero feature GORE-TEX Pro Textile Laminate technology for the perfect combination of waterproofing and breathability. In both pieces, the GORE-TEX membrane is laminated to the outer fabric, keeping every piece of material dry without compromising ventilation and airflow. Rain and wind stay out, but moisture vapor is still able to escape. The lightweight technology makes the Cadora and Manero ideal options for ultimate protection and comfort in all riding conditions. Both the Cadora and Manero have zippers for easy connection to each other or to other Held gear. Women’s sizes are available, and the Manero pants also have Slim and Stocky sizing for a tailored fit. Both the Cadora jacket and Manero pants are now available in the Held USA online store. For more information visit www.HeldUSA.com. About Held: Best known worldwide for their award-winning glove lines, Held also designs and manufactures premium motorcycle safety gear, utilizing the highest quality materials and armour. Held’s innovations include being the first equipment manufacturer to implement naturally abrasion-resistant kangaroo and sting ray leathers in its products, the first to use a special inside stepped seam to eliminate seam discomfort, and the first manufacturer to use a titanium knuckle cover on their gloves. About Schuberth North America: In 2010, Schuberth GmbH opened the North American sister office in Aliso Viejo, California and continues to grow its exclusive dealer network for motorcycle products in the U.S. and Canada. Additional business segments work directly with law enforcement departments on the motor officer and crowd control products and with IndyCar and NASCAR teams on the auto racing helmets. 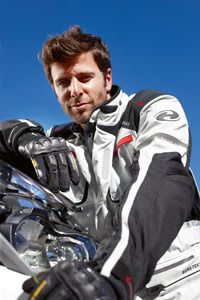 In 2014, Schuberth North America also assumed U.S. distribution for German apparel and glove manufacturer Held. Schuberth North America has taken over distribution of Held Rider Equipment in the United States. Schuberth NA will distribute Held GORE-TEX lined textile riding suites, a variety of leather and textile gloves, and waterproof bag systems. Products available in June 2014. Aliso Viejo, Calif. - April 15, 2014 - Schuberth North America is proud to announce their partnership with German motorcycle apparel and equipment manufacturer Held. Schuberth NA will serve as the sole distributor of Held products in the United States, with a selection of products to become available in June 2014. This selection will include Held’s famous GORE-TEX, leather and textile riding gloves, premium GORE-TEX textile adventure riding suits for both men and women, and waterproof bag systems. More information to be provided in coming weeks. Best known worldwide for their award-winning glove lines, Held also designs and manufactures premium motorcycle safety gear, utilizing the highest quality materials and armour. Held’s innovations include being the first equipment manufacturer to implement naturally abrasion-resistant kangaroo and sting ray leathers in its products, the first to use a special inside stepped seam to eliminate seam discomfort, and the first manufacturer to use a titanium knuckle cover on their gloves. Held has built a reputation for quality and durability in the United States with its premium gloves. Drawing on over 68 years of experience engineering and testing cutting-edge glove designs, Held is continually developing new technology to create better, safer and more comfortable gloves for the future. 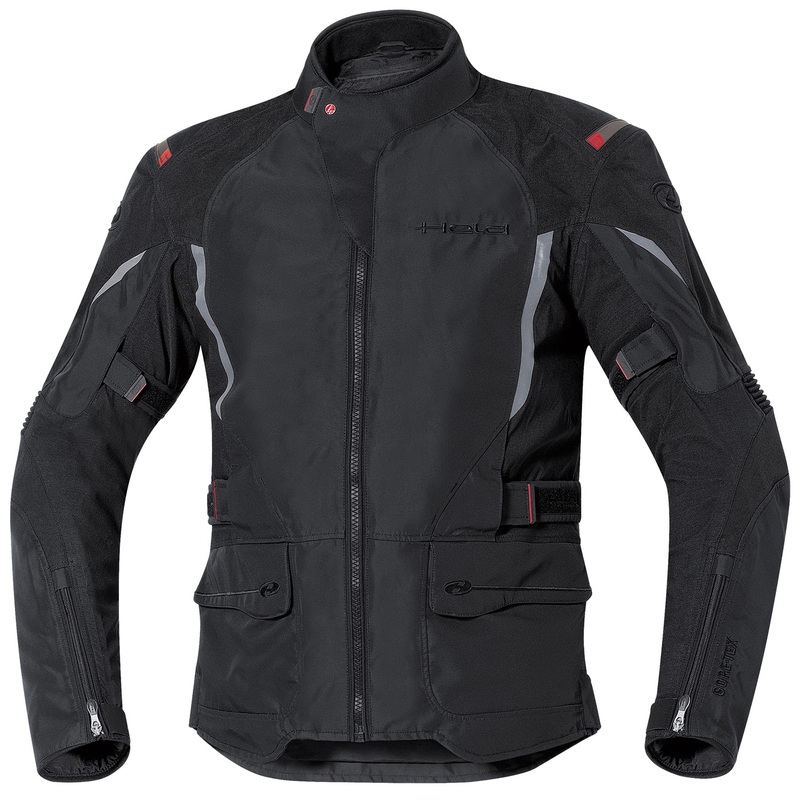 Held’s Quattrotempi adventure riding jackets and pants utilize genuine GORE-TEX membranes to keep riders warm, comfortable and dry. Each piece features Held’s unique cloverleaf protection system, with durable CE-approved armor in key zones like shoulders, elbows, hips, knees and back. Other safety features include an abrasion resistant Cordura outer layer, and 3M SCOTCHLITE™ reflective details for safer night riding. Held’s drybag systems incorporate the same quality and durability that is found in their riding gear, and are guaranteed to keep your belongings dry while you are out on the road. Each bag features a tough tarpaulin liner, welded seams, and a dust and wind proof adjustable roll-top fastening system to keep contents securely enclosed. For more information visit www.schuberthnorthamerica.com/company/held-usa.